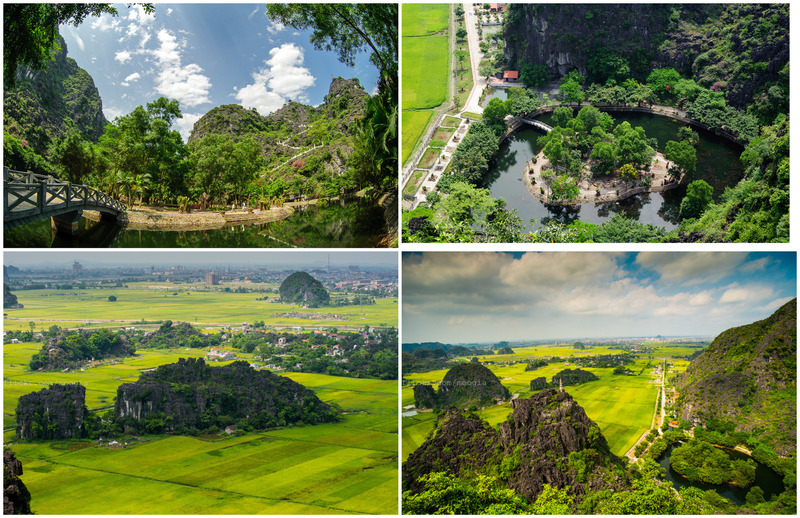 With its waterways, limestone karsts and paddy fields coming together in harmony, Ninh Binh has been a hidden gem overlooked by foreign tourists for years. 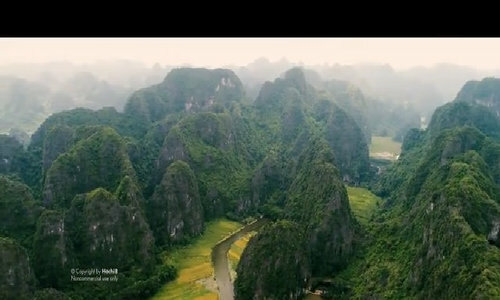 But the home of Hoa Lu, the ancient feudal capital of Vietnam, has become the most famous and Instagrammed travel destination in northern Vietnam since the Hollywood blockbuster, “Kong: Skull Island,” was made there in 2016. A testimony to its rising popularity is its listing by U.S. travel site Insider as one of the 50 best travel spots to check out this year. 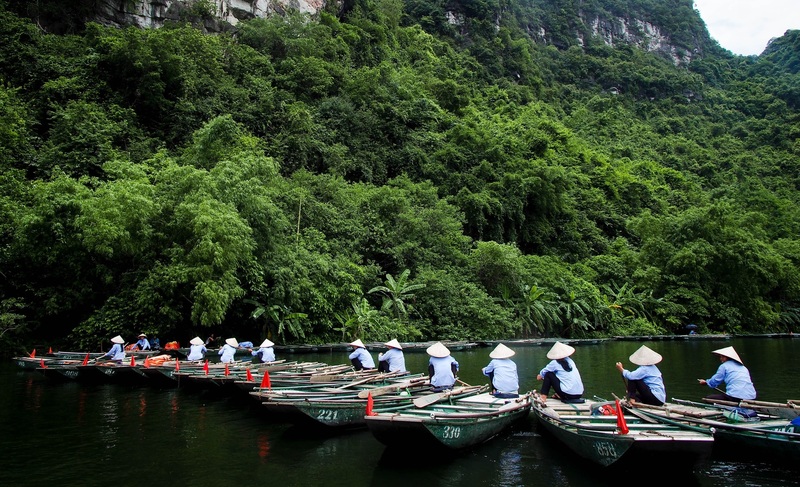 Leave your work and daily grind behind and take a one-day trip to Ninh Binh to paddle through its towering limestone cliffs. 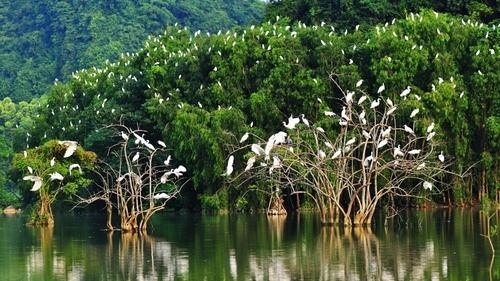 Since it is barely a two-hour drive from the capital, transportation is not difficult. 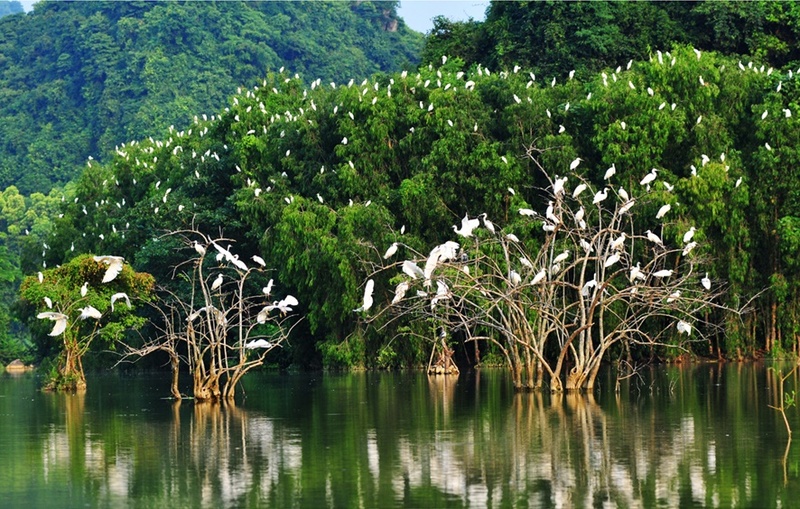 An ideal option for first-time travelers is to arrive in Ninh Binh at twilight, recharge the batteries that night and set off for sightseeing the next morning. 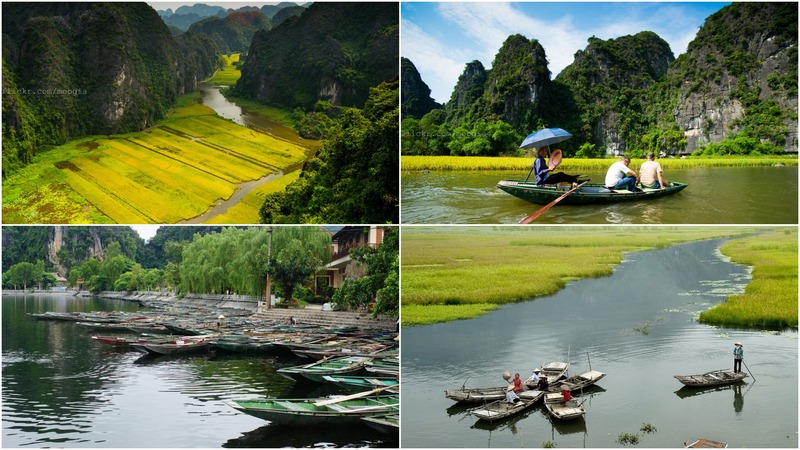 It is a wise choice to hop on a coach from Hanoi to Ninh Binh that takes around two hours and charges a VND100,000 ($4.30) fare. 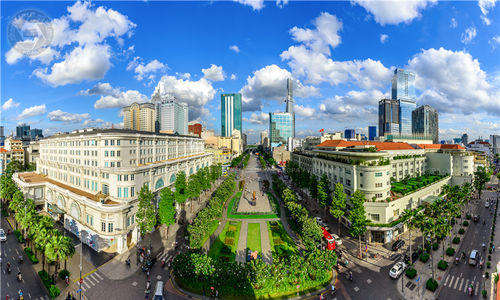 With the traffic in Hanoi and its surrounds much improved in recent years, some visitors make the three-hour motorbike trip. 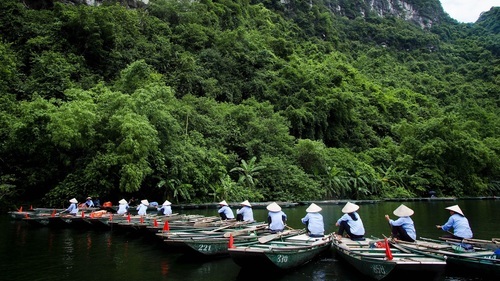 If you are one of those intrepid travelers, from Hanoi follow Giai Phong (Liberation) Street, turn into the Phap Van-Cau Gie National Highway and go down the Cau Gie-Phu Ly route to Ninh Binh. 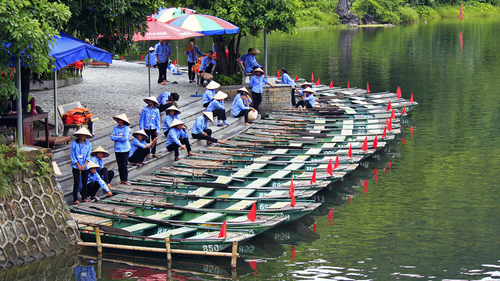 After having breakfast, make your way to Van Lam dock and get ready for a boat tour of Tam Coc-Bich Dong. 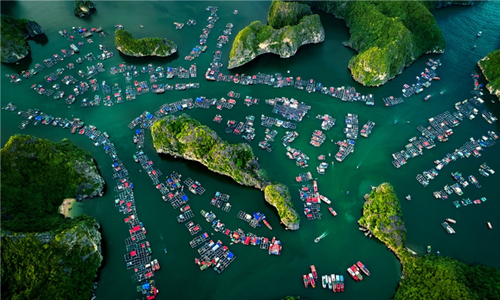 Keep in mind that the sightseeing ticket is around VND120,000 ($5.16) per person and a boat tour costs VND150,000 but requires at least four passengers for a trip. 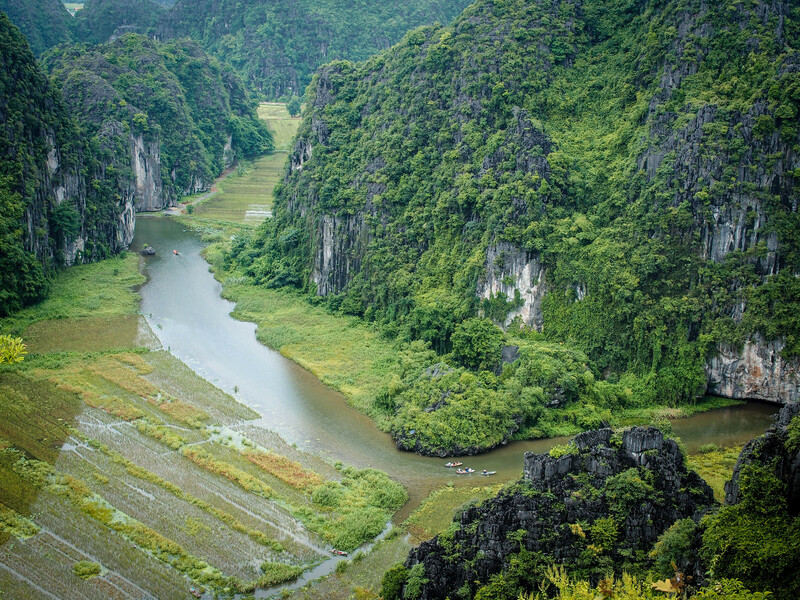 Dubbed as “Ha Long Bay on land”, Tam Coc (Three grottoes) casts a spell over even the most seasoned travelers with its limestone karst towers rising above the waters and paddy fields weaving a green-yellow tapestry along both sides. 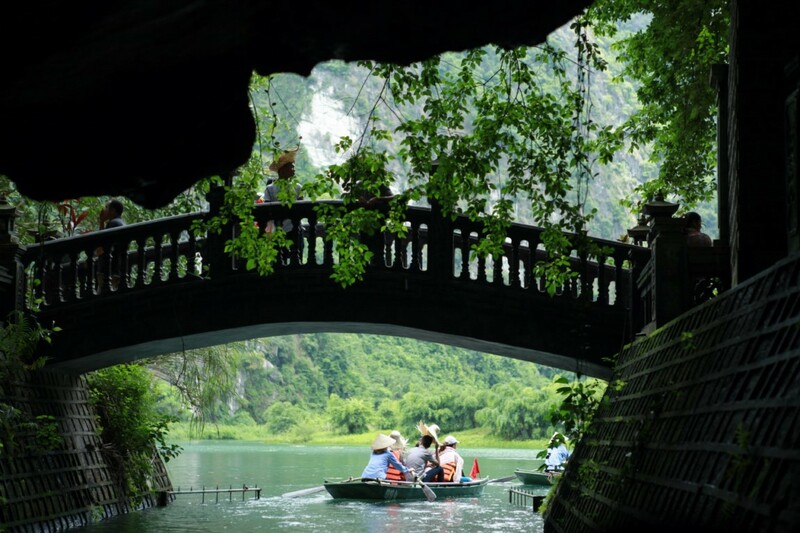 It’s best to get on a two-hour boat ride on the Ngo Dong River where local rowers will take you through three beautiful limestone caves with hundreds of stalactites above your heads. 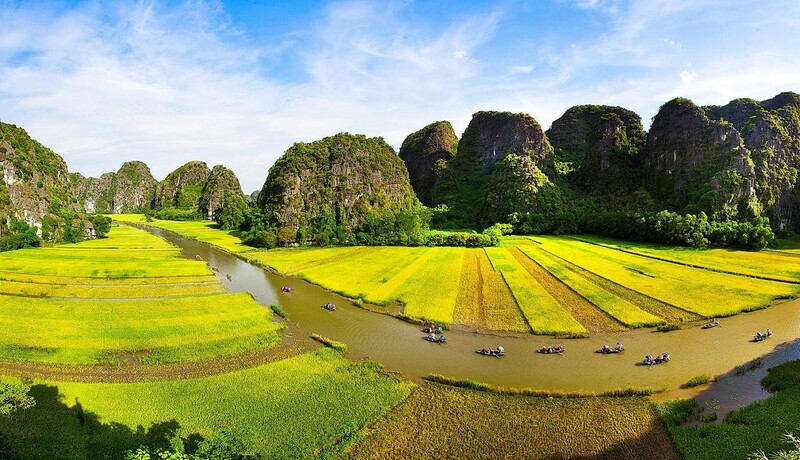 The color of Tam Coc can vary from emerald green to golden yellow depending on the stage of the harvest season. 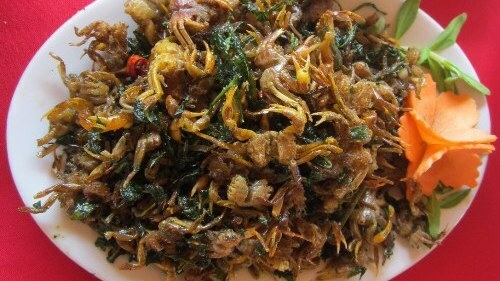 In May and June the landscape is a magnificent sight to behold with its yellow carpet of ripe paddy fields. 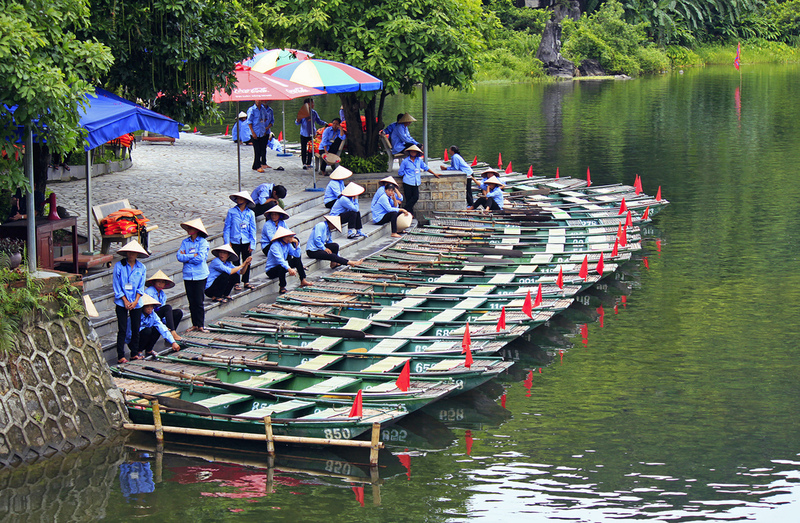 Return to the dock and head southwest for around two kilometers and you will reach Thai Vi Temple as part of the Tam Coc-Bich Dong tourism complex. 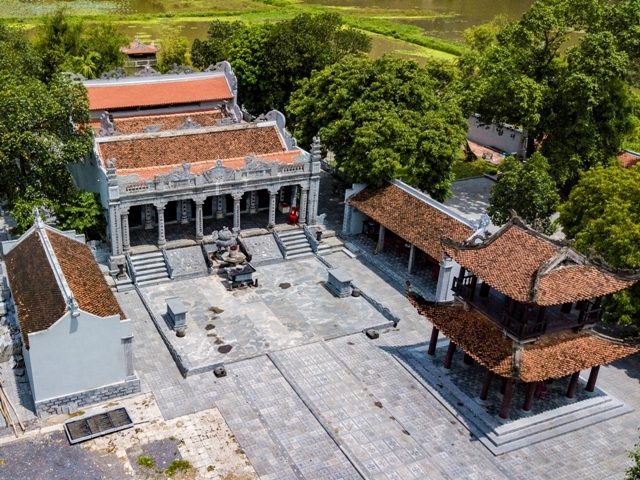 The ancient temple is where kings of the Tran Dynasty are revered with burning incense sticks. 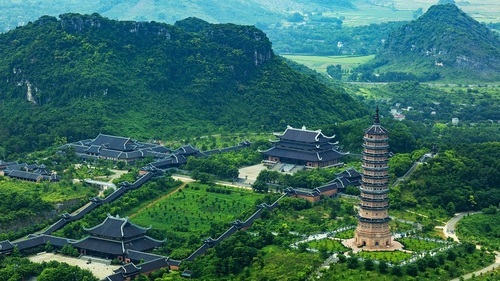 There, locals are willing to recount memories of a glorious period in the nation’s feudal history – the Tran Dynasty era -- and tell you why Hoa Lu was chosen as the capital of the country in ancient times. 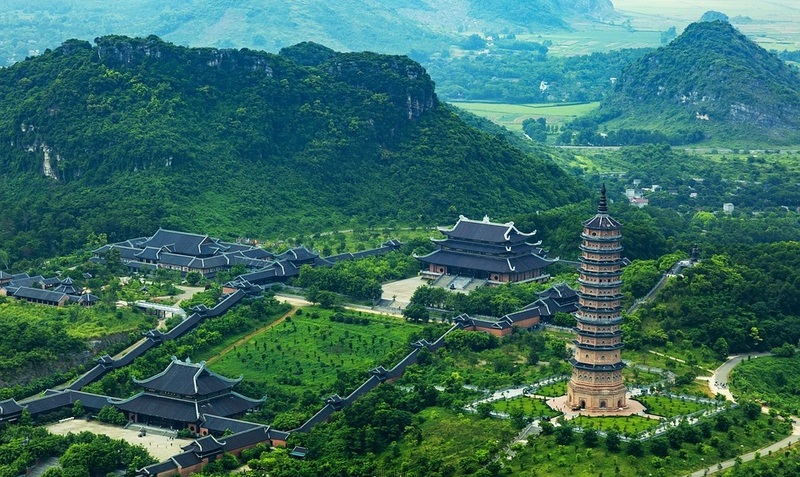 Bich Dong pagoda complex, a natural wonder that gets rave reviews on global travel sites, should be added to your schedule for its breathtaking scenery and serene but mysterious and sacred ambience. 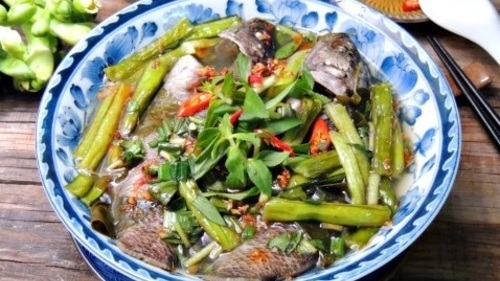 Before leaving for Hang Mua, find a restaurant to fill your stomach and catch your breath since the trip takes at least four hours. 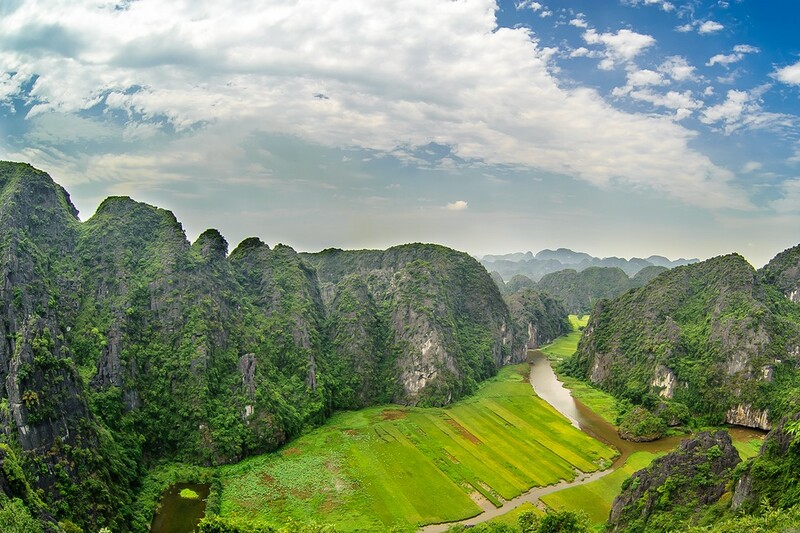 Around four kilometers from Tam Coc is another enthralling spectacle, Hang Mua (Dancing Cave), which looks like a large overturned bell with a width of 800 meters (2,624 feet) at the foot of Mount Mua. 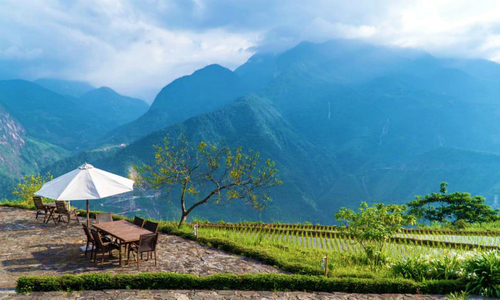 One of the highlights of Hang Mua are 500 winding stone steps leading to the peak that looks a bit like the Great Wall in China. 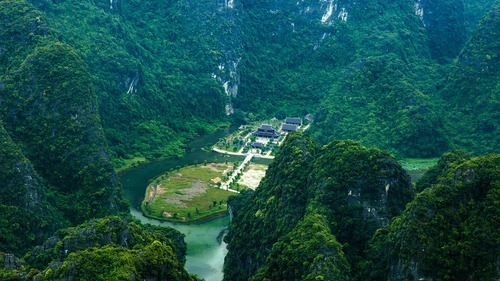 From the top you can get magnificent views of Tam Coc below. 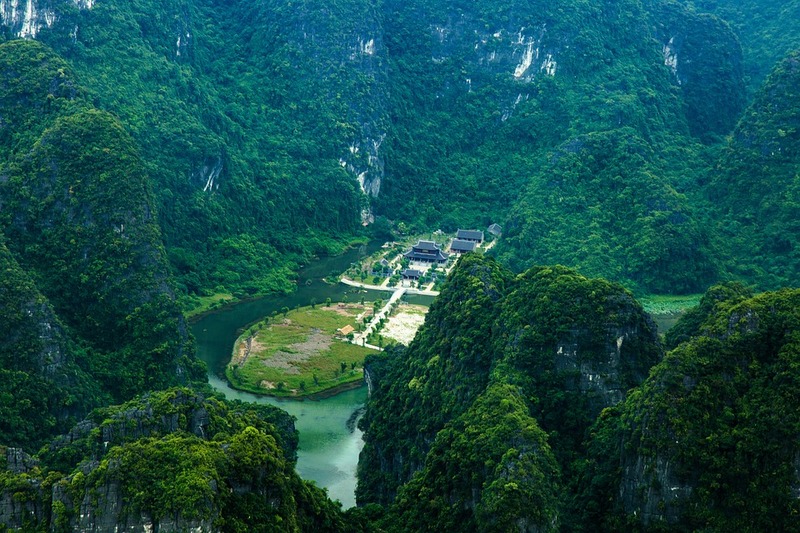 Legend has it that King Tran Thai Tong ordered the construction of Thai Vi Temple and often visited Hang Mua to enjoy dancing and singing, hence the name, "Dancing Cave." 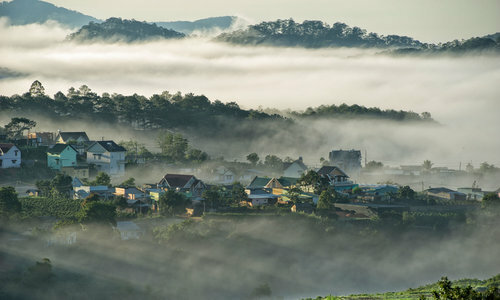 The journey to Hang Mua is through lovely landscapes of endless rice fields and old villages, rivers, lakes and karst towers, which make it a unique destination on Vietnam’s tourism map. 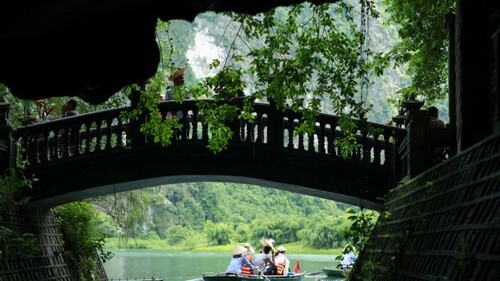 The fee for a sightseeing tour of Hang Mua is VND100,000 ($4.30). 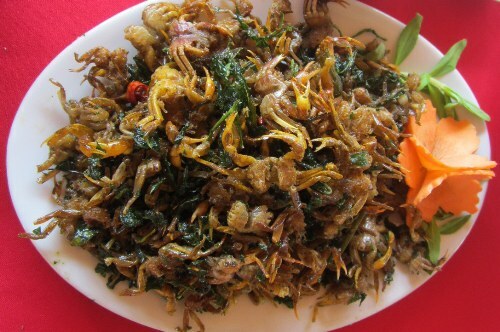 It is a food paradise at a few dollars per meal if you know where to look. 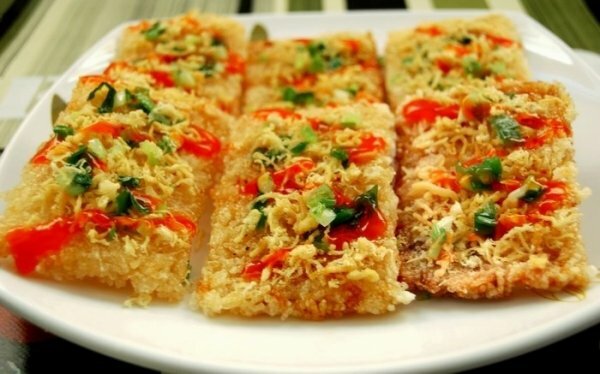 Follow this food guide offered by seasoned travelers. 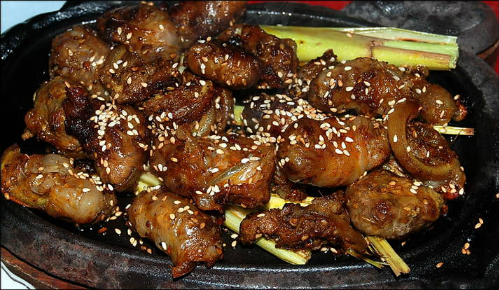 If you want to try something unique to the land, it has to be goat meat. 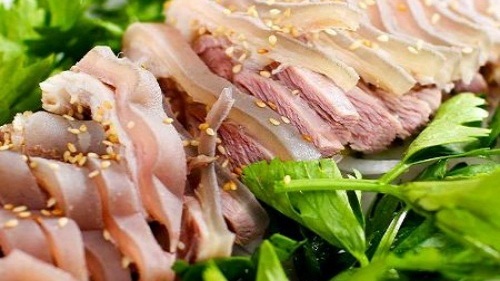 Goat meat restaurants in Ninh Binh are willing to serve diners up to 20 dishes ranging from barbecue and spring rolls to herbal soup to curry. 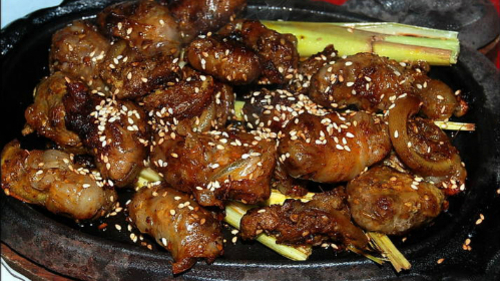 In Vietnam, goat meat is a specialty to feast on when getting drunk. 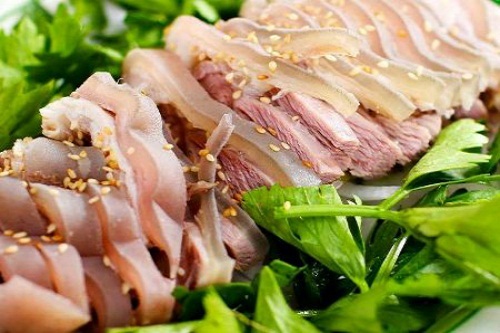 Goat meat can be found everywhere from the north to the south of the country, but since all goats in Ninh Binh are grazed naturally on the limestone mountains their meat is the firmest. 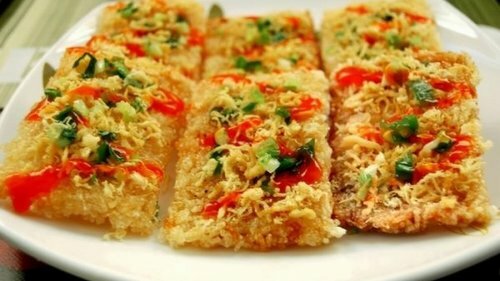 Don’t forget to buy packages of rice cracker, a signature specialty and one that has contributed to popularizing Ninh Binh on the global cuisine map. 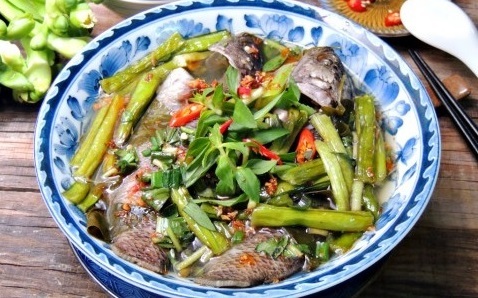 Some dishes that carry the unique flavors of the northern delta such as fish sour soup, cellophane noodles served with eel or field crab roasted with leaves should be added to your bucket list while on a cuisine tour of Ninh Binh. Remember to carry as little luggage as possible to avoid exhaustion if you have only a day for sightseeing. Wears sneakers for trekking/hiking comfortably. You are advised to wear clothes that cover your knees and shoulders when visiting temples and pagodas.